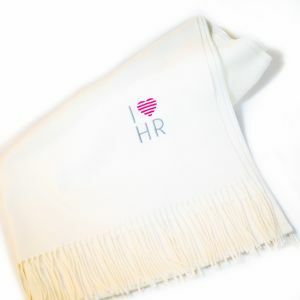 Stay warm while showing your I Love HR pride Stylish high-quality soft cashmere knit like feel. Shawl/wrap soft cashmere knit like feel. Approximate size 25"x74" including rope fringe.